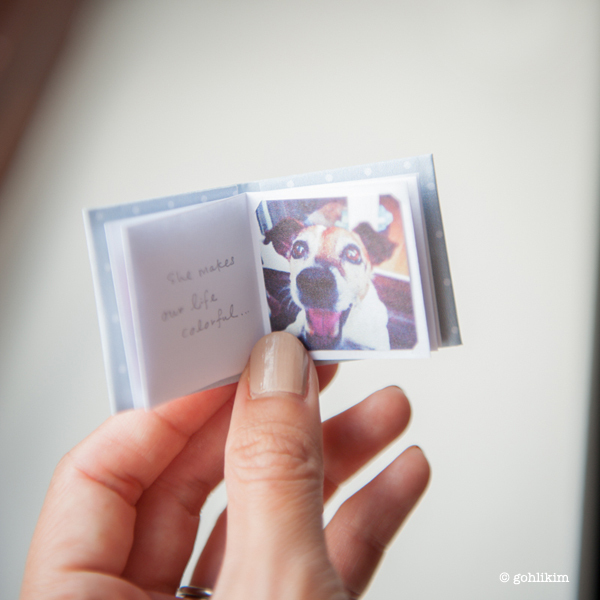 Hello friends, today i want to show you how to make this cute mini 12 pages instagram photo book, it’s great for personal collection or give it to someone as a present. 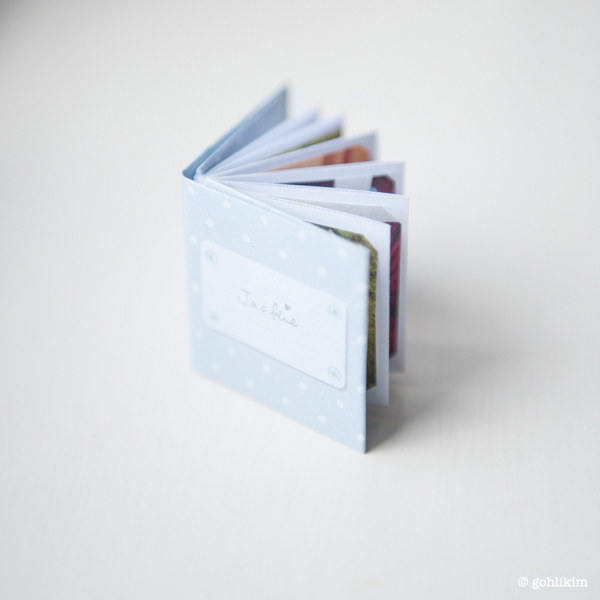 What i like about this little book is, it’s non adhesive and no sewing. 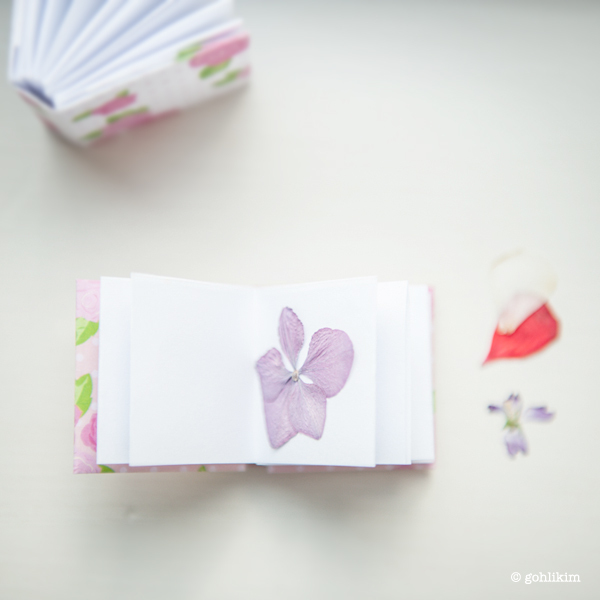 All you need is a paper, a small piece of scrapbook or chiyogami paper for the cover, a ruler and a craft knife. Cut a piece of 11″ x 2.75″ paper from an A4 or Letter size paper. 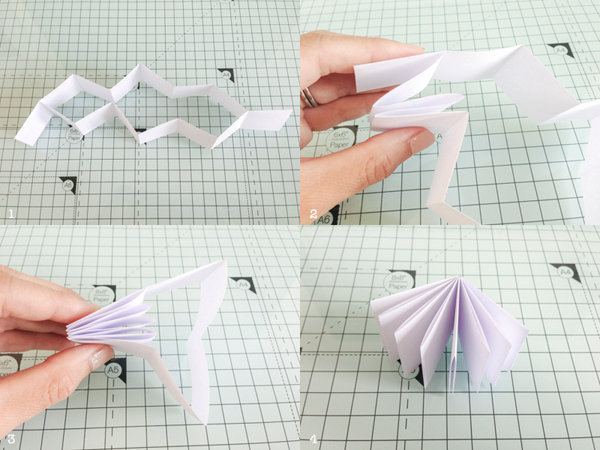 Fold the paper in half lengthwise, open it up and fold in the other direction in half, then accordion fold to create 8 panels. Unfold the paper, (you will see the fold lines as the sketch below) use your craft knife to cut along the vertical fold between 6 inner panels and mountain fold the paper in half lengthwise. 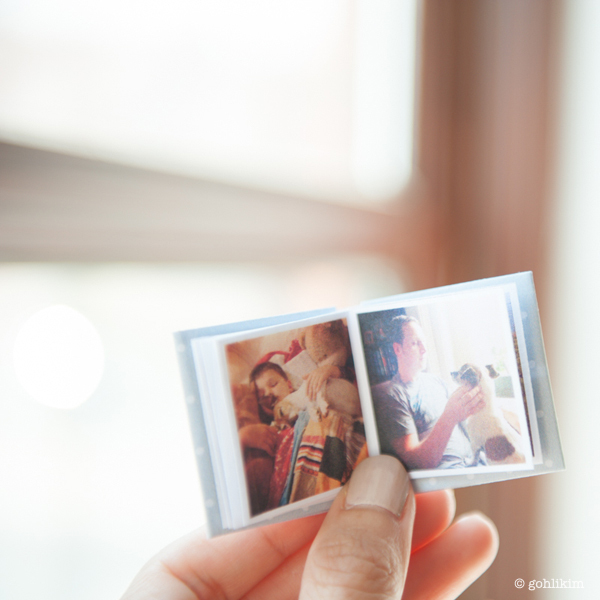 (see photo 1) Accordion fold the paper (photo 2 and 3) to create the pages. Note: the last page ends up being a bit less in width than the pages, but it won’t be noticeable after we put the cover on. This is great! 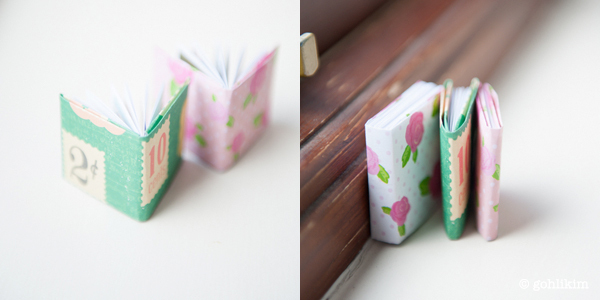 I’ve made books with a similar fold, but never with so many pages or with such a sweet little cover. Well done! Well these are simply adorable. So tiny & perfect! I can’t believe you didn’t use any glue to put this together – very ingenious. Thanks for sharing! I’m glad it works. Stickers are a great idea! I love this so much!! But I’ve been trying to figure out for so long now how you made the thicker version? Did you just use a longer strip of paper, or did you make several and somehow attach them together? I really want to make the thicker one (in the last picture) is there a tutorial for that one somewhere? 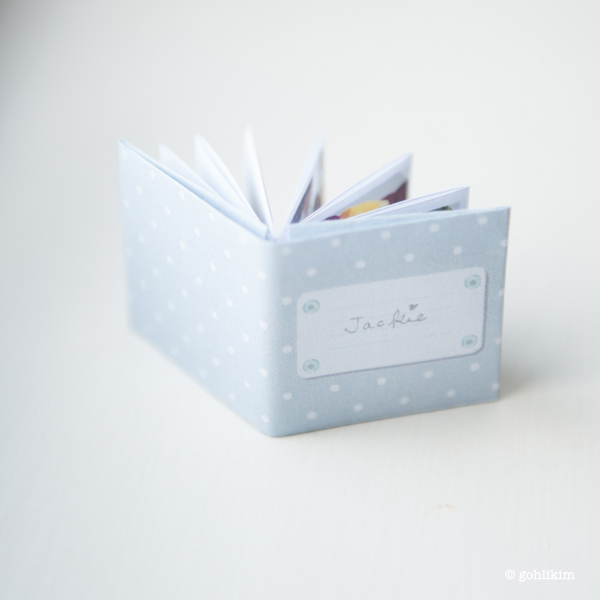 I love this little book tutorial , so C U T E ! (I made it two seconds after I saw the photos! Thanks so much for the toot and also for the freebies!! You’re welcome Sheree. 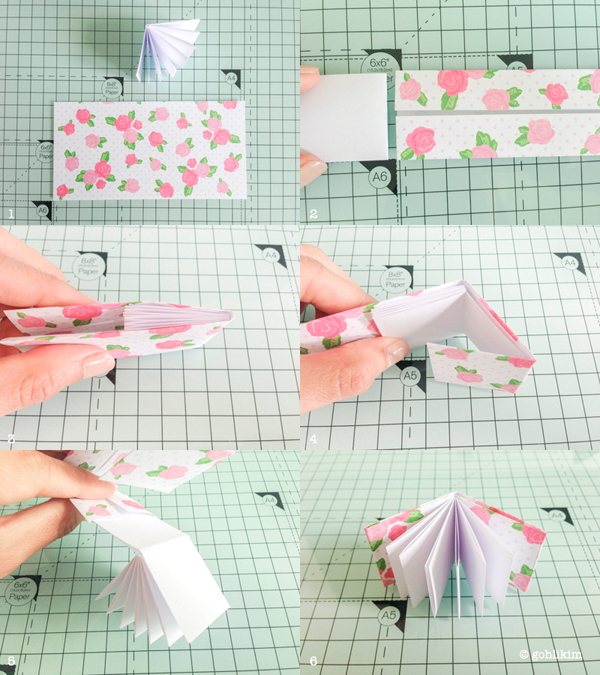 For the thicker one, you make 4 or five of the page (pic 1-4) and glue them together. Cover size will be the same just wrap around the spine, should have plenty to fold back inside the front and back cover. I read this and just had to make one – voila! Dang if this isn’t the cutest thing. I too have made the simpler one with fewer pages from 8×11 sheet but love this mini size. I wrote the instructions and dimensions inside this one so I will have it for future reference. Thanks so much. I can see myself making lots of these in the days and weeks to come.